How to watch The Witches (1990) on Netflix Canada! 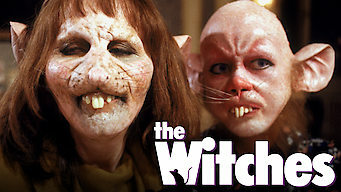 Sorry, The Witches is not available on Canadian Netflix, but you can unlock it right now in Canada and start watching! With a few simple steps you can change your Netflix region to a country like Spain and start watching Spanish Netflix, which includes The Witches. We'll keep checking Netflix Canada for The Witches, and this page will be updated with any changes. The Witches is not available in Canada BUT it can be unlocked and viewed! A boy and his grandma go on vacation, only to find their hotel is hosting an international witch convention, and the witches are brewing an evil plot! These hideous hags want to turn kids into mice. He has one chance to save the day -- but it could be a real squeaker. There is a way to watch The Witches in Canada, even though it isn't currently available on Netflix locally. What you need is a system that lets you change your Netflix country. With a few simple steps you can be watching The Witches and thousands of other titles!